Experience the Inner Alchemy Massage specialist treatments in Remedial, Swedish, Hot Stone Massage, Warm & Cool Stone Facial, Facials Aromatherapy & Pregnancy Massage. Inner Alchemy is a small group of professional therapists, who are passionate about massage and natural therapies and believe in a holistic approach to health and well-being. We provide a safe, private and nurturing environment, where you can allow yourself time out of your busy lifestyle to relax, to be pampered and to heal. All therapists have professional training, qualifications and experience in many massage related modalities including: Remedial, Swedish, Myofascial Release, Pregnancy Massage, Aromatherapy, Corporate Massage, & Sacred Stone Therapy. Our Massage Therapists hold Diplomas in Remedial Massage, Aromatherapy and are certified in Hot Stone Therapy and Pregnancy Massage and are registered with all major Health Funds. We are fully committed to providing a nurturing, safe environment where trust is respected and a holistic, caring approach is taken to massage and natural therapies. We also offer courses for both professional massage therapists and those just starting out or couples and peeople who want to learn some lifestyle courses. The introductory courses include – Introduction to Swedish Massage, Facials, Warm and Cool Stone Facials, Introduction to Aromatherapy Massage. Approved Continuing Professional Education (CPE) courses in Hot Stone Massage, Remedial Stone Fusion, Facials for Massage Therapists, Warm and Cool Stone Facials, Corporate Massage and Pregnancy Massage. 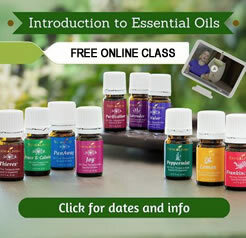 We also offer a Range of FREE AROMATHERAPY WORKSHOP. Our FREE workshops include – Introduction to Aromatherapy and Essential Oils; Essential Oils for Better Sleep, Mental Clarity and Emotional Wellbeing. Essential Oils for Mums and Bubs. 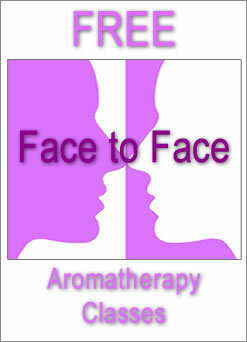 Call Sarah on 02 88145201 to book your FREE Aromatherapy Workshop. The vision of Inner Alchemy Massage is the genuine desire to provide the best possible treatments in a private, peaceful, environment. A place for people to visit when they need that little extra help. You will deal with people who are passionate about helping you find what you really need. This may be as simple as a little time for yourself, pain relief, therapeutic or spiritual healing, or just a pampering massage and some well earned ‘time out’. Whatever your choice of treatment we will listen to what you want, the focus will be entirely on you and the treatment will be personalised to your specific needs. “In today’s hectic, fast paced busy lifestyle we believe massage is no longer a luxury but a vital adjunct to well-being and health maintenance. We believe that all treatments should therefore be individually tailored to each client’s specific wants and needs.